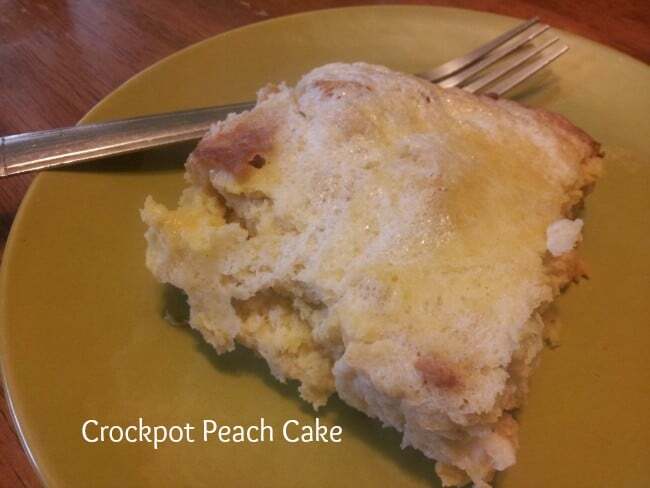 Easy peasy peach cake for the crockpot. I usually start this in the early afternoon, and we are able to enjoy it for dessert that night. The best part of this is that you are able to use pretty much whatever sweetener you want with it. I normally would make this with raw sugar, but this time, I tried the newer Swerve sweetner to see what results I would get. Free from GMO’s and offering the most natural form of it’s ingredients, this sweetener is one I could make a switch to. Make this easy cake even more healthy by switching to Swerve sweetener! Begin by separating the eggs. Add the whites to a mixer on medium high speed until stiff peaks form. In separate bowl, beat the eggs, sugar, vanilla, salt, and flour until well blended. Fold in egg whites, 1/2 at a time. 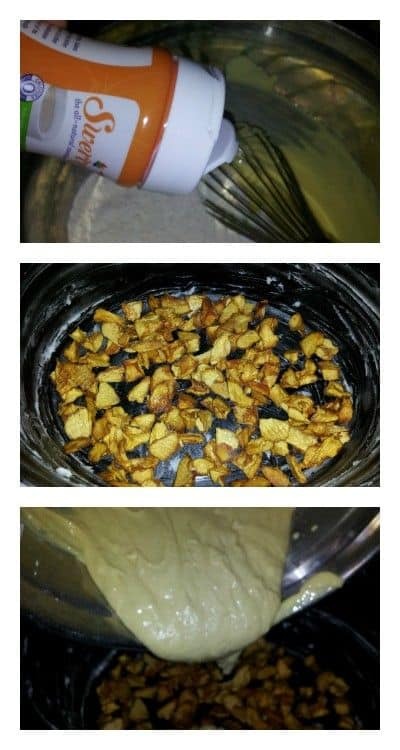 Grease the inside of a crockpot with butter or coconut oil. Add dried fruit to the bottom of the crockpot. You could easily substitute bananas, blueberries, or strawberries and have a moist, delicious cake! If you want to use regular sugar as well, you certainly can. Sucanat is also another great substitution. I haven’t tried this with honey, but you could probably easily swap that out too. Can’t wait to try this! I love using my slow cooker! 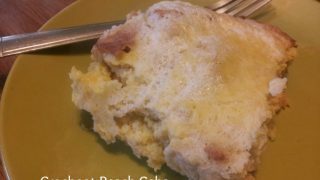 I pinned this recipe to try some time! I love this! I’m out for finding things that put my slow cookers to use more often, and dessert type things are very, very appealing. Thanks for this recipe. 🙂 Pinning for later. I love my crockpot, but I’ve never done a dessert in it. Might have to give this a try.